Since the New Year’s Eve assaults in Cologne in 2015 it appears evident to the general public: young men from the Maghreb countries Algeria, Morocco and Tunisia are gropers, rapists and thieves. However, prejudices like these do not have much in common with the complex realities in the Maghreb countries. Writers from Maghreb – some living in Europe – tell a different story of their home countries: conflict-ridden confrontations, rich cultures and renowned literary traditions. In our discussions with special guests we analyzed the image authors portray of Maghreb and its migrants. Leila Slimani (Morocco/Paris), writer, whose second novel “Lullaby” won the Prix Goncourt 2016, the most prestigious literary award in France. Fouad Laroui (Morocco/The Netherlands), writer and columnist (Jeune Afrique). Most recent novel “Ce vain combat que tu livres au monde” (2016). Regina Kell-Sagaw (Heidelberg); translator of French works (specializing in Maghreb literature). The German Federal State of Hesse is a melting pot of nations and cultures, a state of continuous change, with potential and opportunities that Alondra Institute wants to build on. Alondra Institute aims to foster intercultural understanding and promote cooperation across different cultural genres and forms of expression. On 7 May 2017 Alondra Institute presented at “Haus des Buches", Braubachstr. 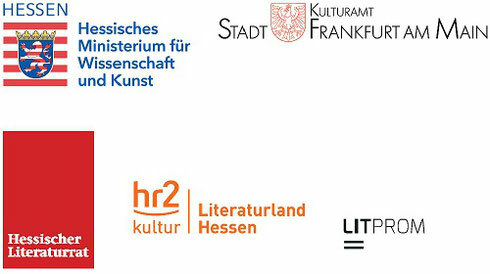 16 in Frankfurt, its projects and programs to the public. The Moroccan painter and writer Mahi Binebine was invited to present one of his novels which all deal with current political topics: “Welcome to Paradise” (1999) is more about the desperate impetus for departure than the disappointment of arrival; “Horses of God” (2010) follows fourteen childhood friends growing up in Sidi Moumen as they make the life-changing decisions that will lead them to become radicalized Islamist martyrs and “Le Seigneur vous le rendra”(2013) underlines the importance of education for the poorest of the poor. The three novels convincingly analyze the current topics confronting migrants and refugees, topics and concerns we, and, in particular, young people in Hesse can and should address. Mahi Binebine did not only read from his book “Le Seigneur vous le rendra” but also talked about his successful cultural project which attracts young people from the slum areas of Casablanca to immunize them against becoming suicide bombers. On 8 May Mahi Bibebine presented his novel “Horses of God” at Denkbar, Spohrstr. 46 in Frankfurt am Main. Peter Bozem provided percussionist accompaniment.